Jack Nadel... famed author of "The Evolution of an Entrepreneur"
Jack is a member of The Greatest Generation, decorated WWII veteran, seven-decades long successful entrepreneur (founder and now chairman emeritus of Jack Nadel International) and the author of the award-winning book, The Evolution of an Entrepreneur: featuring 50 of My Best Tips for Surviving and Thriving in Business. His book is the winner of five Global Ebook Awards including three Gold Awards for Best in Business, Leadership and Careers/Employment. 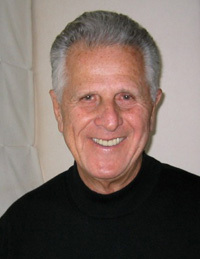 His website is at: www.JackNadel.com.